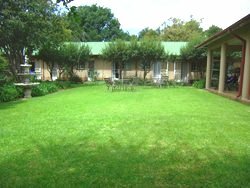 Situated in the lovely suburb of Oaklands, Johannesburg, this tranquil care home caters for the needs of those requiring a little extra loving care. This home has beautiful gardens with benches scattered throughout for quiet moments. Large and small lounges to relax in and read a book from the library, or visit with family and friends. Sunny single rooms, all with a garden view. 25 single rooms with basin and shared bathroom facilities. 16 single en-suite rooms, some with French doors opening onto the lovely gardens. The monthly levies include nursing assistance, all meals and laundry. 7 shared and 13 single rooms with shared bathrooms. string(374) "mid care, frail care, assisted living, full care, nursing home, Pioneer House, Oaklands, Patricia King Wing, Pioneer House Assisted Living, Pioneer House Full Care, holiday care, temporary nursing care, respite care, norwood, rosebank, waverley, Pioneer House old age home, assisted living johannesburg, full care johannesburg, mid-care johannesburg, frail care johannesburg"
string(25) "15 Trilby Street Oaklands"
string(65) "Pioneer House – Flower Foundation – Old Age Home Johannesburg"
string(1546) "  Situated in the lovely suburb of Oaklands, Johannesburg, this newly renovated old age home caters for the needs of those requiring a little extra loving care. This home has beautiful gardens with benches scattered throughout for quiet moments. Large and small lounges to relax in and read a book from the library, or visit with family and friends. 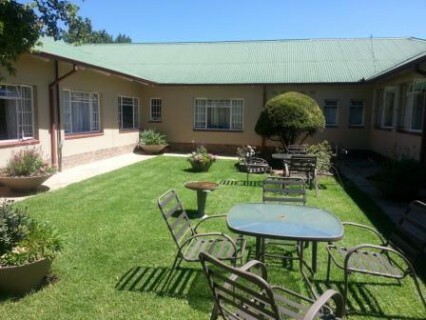 Accommodation offered at Pioneer House Old Age Home Johannesburg Mid Care: PIONEER HOUSE Sunny single rooms, all with a garden view. 25 single rooms with basin and shared bathroom facilities. 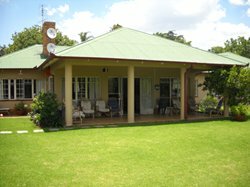 16 single en-suite rooms, some with French doors opening onto the lovely gardens. The monthly levies include nursing assistance, all meals and laundry. Frail Care: PATRICIA KING WING Caring staff are available 24 hours per day to see to the needs of our residents. 7 shared and 13 single rooms with shared bathrooms. 4 bed ward 2 bed ward Single room Single rooms en-suite Double room en-suite Features of the Pioneer House Old Age Home Johannesburg Perimeter secured and guard at reception Nursing staff always available Occupational therapy Manager and matron on duty weekdays, on call during weekends Library Charming Chapel (by donations from the community) Main lounge for meetings, socials and entertainment Smaller lounges for relaxing or reading or socialising DSTV and TV in both lounges Visiting doctor, podiatrist, physiotherapist, manicurist and hairdresser Transport to shopping centre weekly For more information on other Flower Organisation old age homes, click here..."
string(63) "Pioneer House – Flower Foundation - Old Age Home Johannesburg"
string(148) "This Johannesburg old age home is situated in the lovely suburb of Oaklands. The old age home caters for those requiring a little extra loving care." 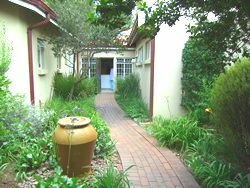 string(35) "Pioneer House – Flower Foundation"
string(1331) "Situated in the lovely suburb of Oaklands, Johannesburg, this tranquil care home caters for the needs of those requiring a little extra loving care. This home has beautiful gardens with benches scattered throughout for quiet moments. Large and small lounges to relax in and read a book from the library, or visit with family and friends. 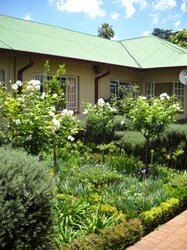 Accommodation offered at Pioneer House Sunny single rooms, all with a garden view. 25 single rooms with basin and shared bathroom facilities. 16 single en-suite rooms, some with French doors opening onto the lovely gardens. The monthly levies include nursing assistance, all meals and laundry. 7 shared and 13 single rooms with shared bathrooms. 4 bed ward 2 bed ward Single room Single rooms en-suite Double room en-suite Features of the Pioneer House Perimeter secured and guard at reception Nursing staff always available Occupational therapy Manager and matron on duty weekdays, on call during weekends Library Charming Chapel (by donations from the community) Main lounge for meetings, socials and entertainment Smaller lounges for relaxing or reading or socialising DSTV and TV in both lounges Visiting doctor, podiatrist, physiotherapist, manicurist and hairdresser Transport to shopping centre weekly For more information on other Flower Organisation old age homes, click here..."
string(44) "Kombi provided for Assisted Living residents"
string(31) "Registered nurse available 24/7"
string(21) "Senior gym in morning"